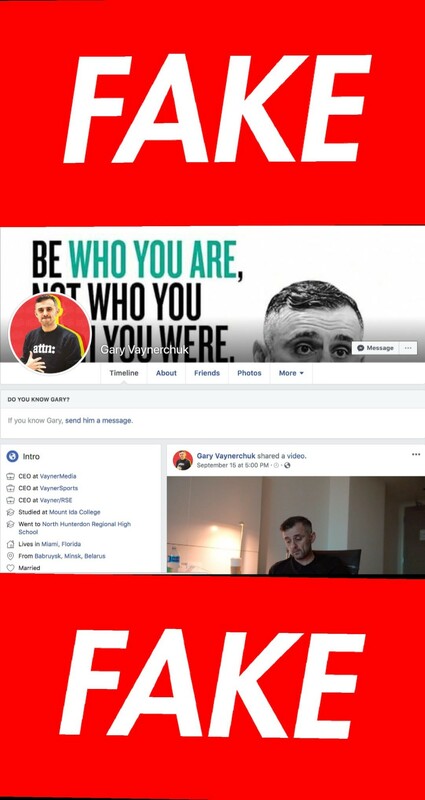 It has been brought to our attention this past week that there are numerous people trying to impersonate @garyvee and are offering illegitimate services in exchange for money. 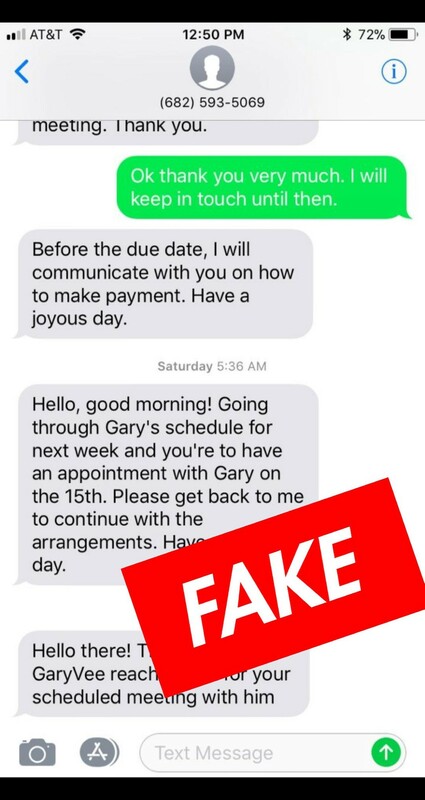 We want to remind everybody that Gary will never message you directly asking for money, credit card information, or any other personal information. If you receive a message similar to anything like these please report the account immediately and notify us at teamgary@vaynermedia.com.